In the meantime, have a VERY blessed Thanksgiving! 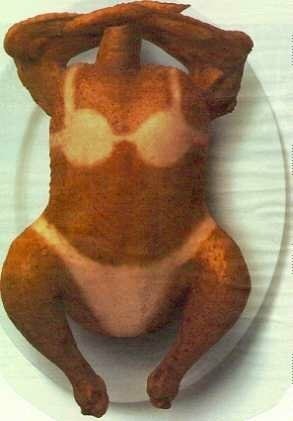 Here is a new way to prepare your Thanksgiving turkey that’s sure to be the talk of the town. Arrange the turkey in the roasting pan, position the foil carefully. See picture below for details. This entry was posted on Monday, November 22nd, 2010 at 10:39 pm and is filed under Uncategorized. You can follow any responses to this entry through the RSS 2.0 feed. You can leave a response, or trackback from your own site. Cyndy Salzmann is a top professional organizer in the Omaha, Nebraska Professional Organizers guide on FindMyOrganizer.com.